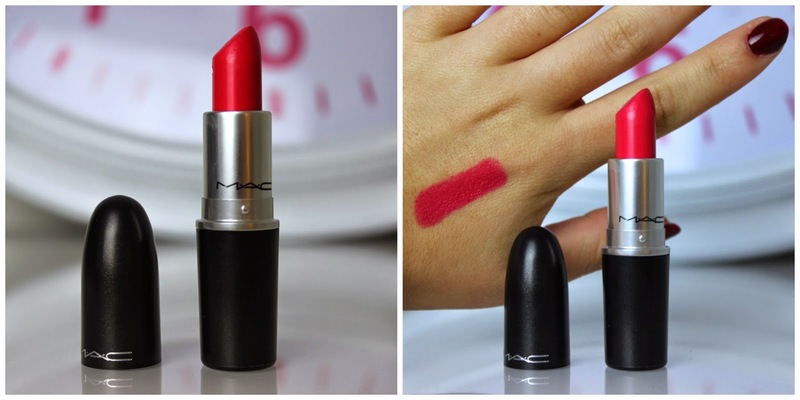 mac is my love, mac is what makes me weak and i always feel like i’m in paradise as soon as i step into a store, and yes, i want to have everything they stock, no matter what it is as their products always worked awesome for me. it has almost been 2 years since i started really getting into mac lipsticks and i started collecting them and whenever i feel like treating me, i go out and buy myself one. last week, me and my friend alex went into mac as we are both loving anything mac and i picked up the shade impassioned which i had my eyes on for a good while now. impassioned is a bright color and i just love it. its a bright pink but it has warm undertones it which makes it almost peachy looking and it has such an amazing finish. its very, very pigmented but super creamy at the same time. i love that its shiny but not too shiny if that makes sense and it wouldn’t dry my lips at all. great plus. i don’t know what it is with that color, but it makes me so happy and even though its super bright, it is not a too much in the face color, so i can easily get away with wearing it on a day to day basis. also, that bright pink just puts a smile on my face. to me, its one of my favorite mac lipsticks ever because the finish makes it seem like only wearing a lip balm. its just so nice and so bright and fun. if you like easy finishes that don’t dry out your lips and you are into bright colors, check out impassioned. its worth it. also did a first impression video over on my channel. love you.